Eric Garner died just over three years ago after he was arrested for selling cigarettes on the streets of New York City. He went into cardiac arrest after police took him down after some initial resistance from Garner. His daughter, Erica Garner, spent the ensuing time as an activist with Black Lives Matter and other groups. She said her goal was justice for her father and everyone else in that situation. She demanded accountability from the New York City Police Department and mayor Bill de Blasio. Erica Gardner passed away on Christmas Eve after an asthma attack turned into cardiac arrest. Bill de Blasio tweeted his condolences, but it blew up in his face. He was quickly lampooned by the Twitter brigade. Faux Condolences from the man who believed her father deserved to be murdered in your city in broad daylight by your employees! Mayor de Blasio is one of the most shameless figures trying to exploit Erica Garner's legacy, even though she relentlessly criticized him and the impunity he has guaranteed for cops who kill Black people. Keep her name out of your mouth while you employ her father's killer and the people who mocked her pain. Yeah, that’s kind of the playbook for leftists everywhere. “Stunningly empty and self-serving gesture” sums up the Democrat Party platform. It seems like the mayor should have said nothing. But I’m sure the likes of Shaun King would have let that slide. 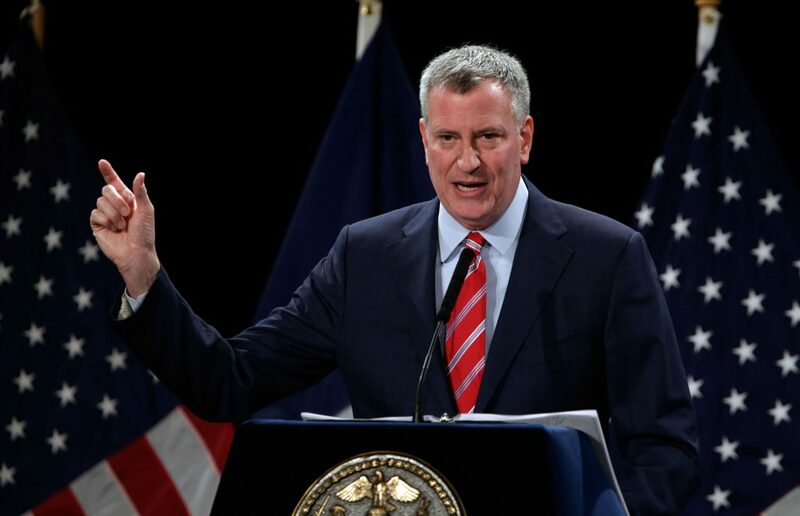 De Blasio will be inaugurated on Monday for his second term as mayor. Bernie Sanders is on the docket to swear him in. And the mayor is getting a pay increase that is more than a minimum wage salary earner would get working 40 hours a week all year. The irony is delicious.